Despite being the world’s biggest social media platform, Facebook has been in the news for all the wrong reasons lately, with barely any new features arriving on its platform. That drought might end soon, as the company is testing a host of new features such as keyword alerts, new ‘Hobbies’ section on the redesigned profile page with a card-like view, and a filters tool in the admin activity section on Facebook’s mobile platform. Jane Manchun Wong, known for unearthing features that are currently under testing, shared screenshots of the new features earlier today which might become available soon. 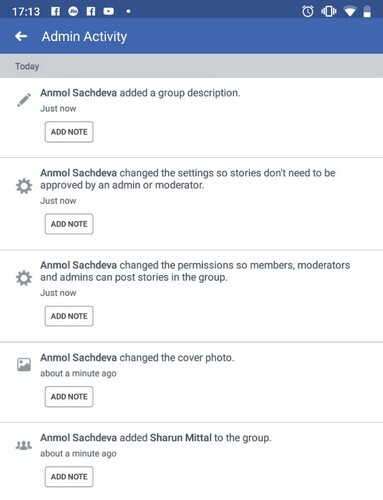 The first key change being tested by Facebook is a filter tool for a group admin. Currently, it is not clear what kind of activity filters will be available at the disposal of an admin or moderator. We’ve reached out to Wong for more details about the upcoming feature and will add more details once we get a response. The current Admin Activity page on the Facebook Mobile app on Android. Currently, when you open the Admin Activity page on the Facebook mobile app, you will only see a record of activities and the ‘Add Note’ button on each entry. 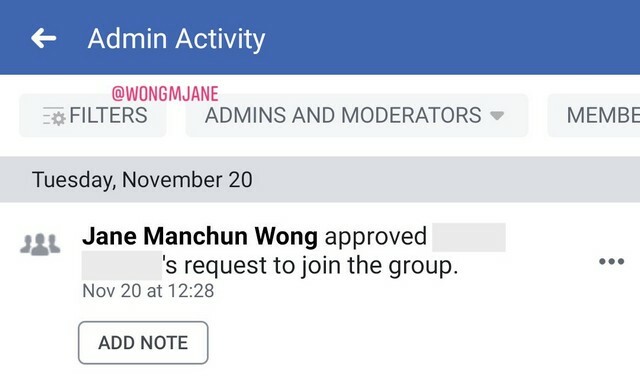 Moreover, Wong’s findings also suggest that aside from a Filters button, more tools such as ‘Admins and moderators’ and ‘Members’ will also be available at the top of the Admin Activity page. 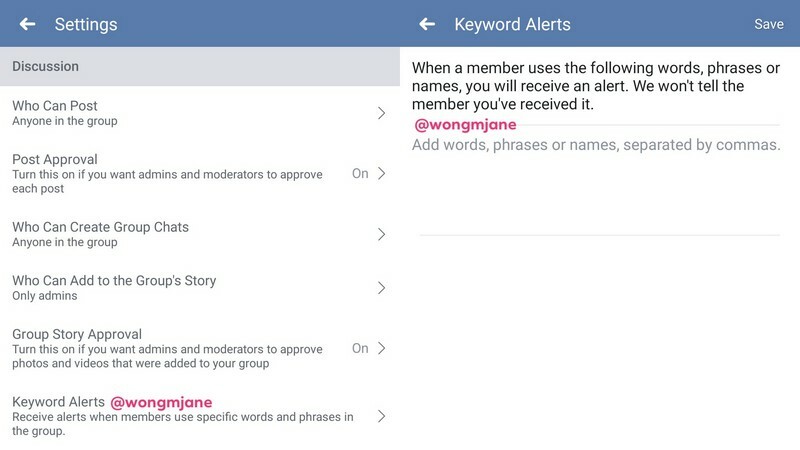 Another admin-related feature being tested by Facebook called Keyword Alerts will send an alert to the admin whenever a group member uses a specific word or phrase. Admins can specify a list of words or phrases which they deem are objectionable or promote an unhealthy conversation on Facebook. 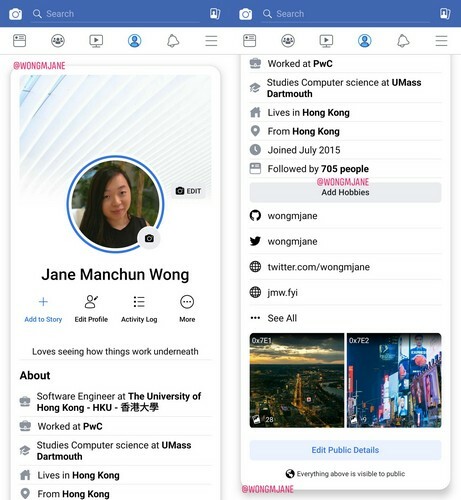 Another change being tested by Facebook is a card-like format to show profile information, which actually looks cleaner and more appealing. Below is an image of the redesigned profile page that will also have a Hobbies section where Facebook users can add their, well, hobbies. As mentioned above, all these features are currently under testing but there is no word regarding their wider rollout.